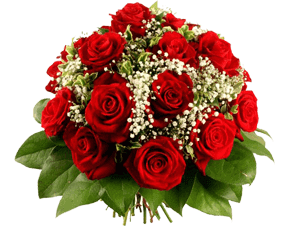 A Beautiful Basket Arrangement of 15 Red Roses with dracaena leaves & green fillers. 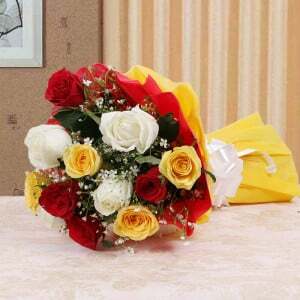 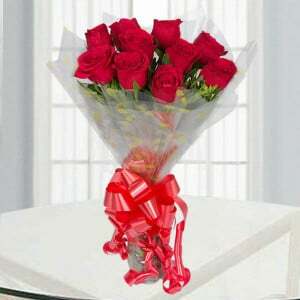 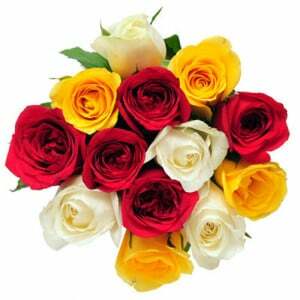 You may have decided to surprise your beloved one with the most beautiful bouquet presentation. 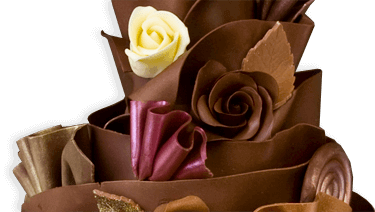 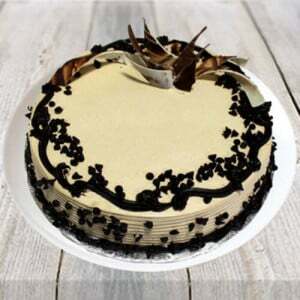 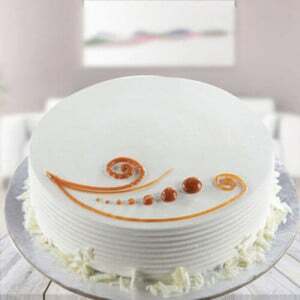 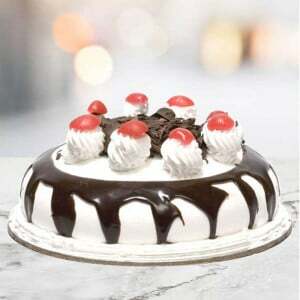 You can have a preference on The Sweet Surprises and fulfil your desire without difficulty. 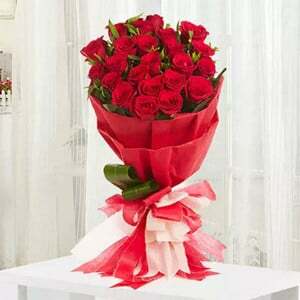 This special bouquet has eye-catching red roses, green fillers and dracaena leaves. 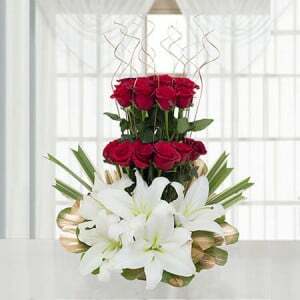 This bouquet presentation makes a special day extraordinary.